As the weather cools in many parts of the northern hemisphere, many pool owners are in the market for a functional and reliable way to heat their pools to keep the fun going a bit longer past summer’s end. Choosing between a pool heater and a heat pump does not have to be a hassle. Thankfully there are reliable websites that can provide you with the information that will help you make the best decision for your outdoor pool. In this article, we will discuss a few pros and cons to consider before deciding between a pool heater or a heat pump. 3 What Factors Should You Consider when Making a Final Decision? Pool heaters are a very popular option when it comes to heating your swimming pool. They use natural gas to heat the water, then returns it back into your pool. They are very efficient at heating water and are initially easier on the wallet with a lower upfront cost. The added cost comes with the need to purchase propane or natural gas, which can exceed the initial cost of the heater itself. Natural gas heaters are generally more cost efficient than propane heaters, costing a few dollars cheaper per hour to run. An electric pool heater is another option. Due to its use of electricity, this option may increase your utility bill. Despite that, electric heaters are a dependable option for heating all kinds of pools from commercial to residential. 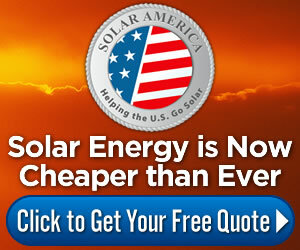 You can try solar pool heating solutions if you want to save some money on electricity. Some of the best solar pool heating solutions can be found on this very own website. Overall, pool heaters are a benefit because of their lower upfront costs and their ability to work effectively in any temperature or climate. Pool heaters heat your pool quickly and are easy to install into your home’s gas line. The drawbacks are its higher cost on the back end with the additional purchase of natural or propane gas. Utility costs can also run high with electric heaters. Also, there are many moving parts with pool heaters that may need repairs over time. An option for heating your pool that is becoming popular is heat pumps. Heat pumps use the ambient air around your pool to heat up the pool water. As air moves over the evaporator coil, it is sucked in and warmed by a heated refrigerant and transferred into the pool water. A heat pump does not require any kind of additional gas, which gives this option a lower cost to run over time. While there are many reasons to choose a great heat pump, the drawback is that the heat pump is only effective at temperatures above 50 degrees Fahrenheit. At temperatures below 50 degrees, the heat pump loses its ability to effectively heat your pool. This is an option that is best for regions that have temperate climates that do not become too cold. Overall, heat pumps have the advantage of lower run costs, energy efficiency (making it more environmentally friendly) and it is easier to install than a pool heater. The disadvantage to this option lies in the temperature limitations and its higher upfront cost. What Factors Should You Consider when Making a Final Decision? Along with cost considerations, efficiency is just as important when choosing between a pool heater or a heat pump. Efficiency will give you insight into its overall performance and actual cost to run over time. You want to buy a heater that actually gets the job done quickly and effectively. The heat exchanger is another factor to consider. A heat exchanger transfers warmth from a condenser into the water. Traditionally, copper or Cupronickel was used due to their inexpensive costs and ability to efficiently transfer heat. Recently more heat pump manufacturers use titanium heat exchangers. Though titanium is more expensive, it is more resistant to corrosion thus it is more durable. Heat pumps also use compressors to condense refrigerant into the hot gas and then to heat up pool water. When choosing a compressor, you will have to choose between reciprocating and scroll compressors. Reciprocating compressors have a small size and are less expensive making them a traditionally popular choice. Eventually, scroll compressors were used due to being more efficient and having fewer moving parts. Scroll compressors are quieter, more durable and less expensive to operate. It is very important to consider the various costs associated with a heat pump versus a pool heater. From installation, maintenance and repairs to operating costs, the overall cost of a heat pump will greatly exceed its initial purchase point, so it is imperative to carefully consider which kind of pump you will buy. Depending on your needs, a pool heater or a heat pump is a great option to heat your commercial or residential pool. The primary points to consider are initial costs, operating costs, your local climate and the size of the pool. Take your time to read reviews on individual product brands so that you can make an informed decision that will continue to benefit you for years.